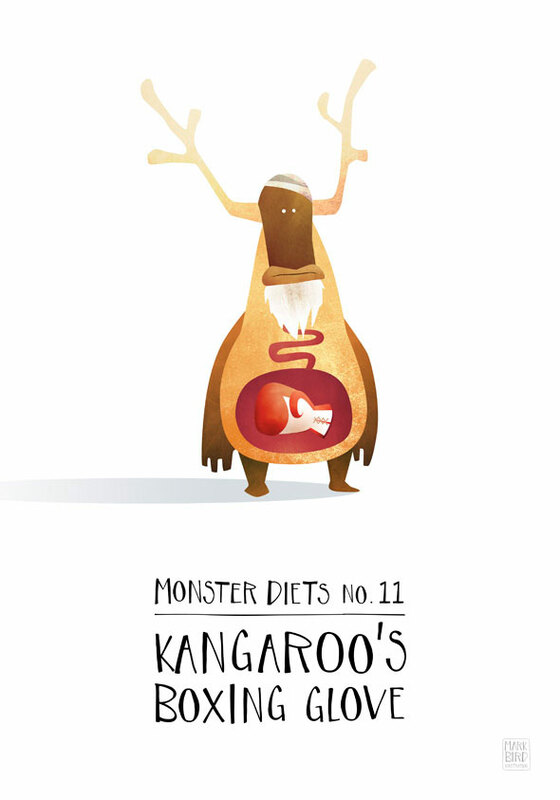 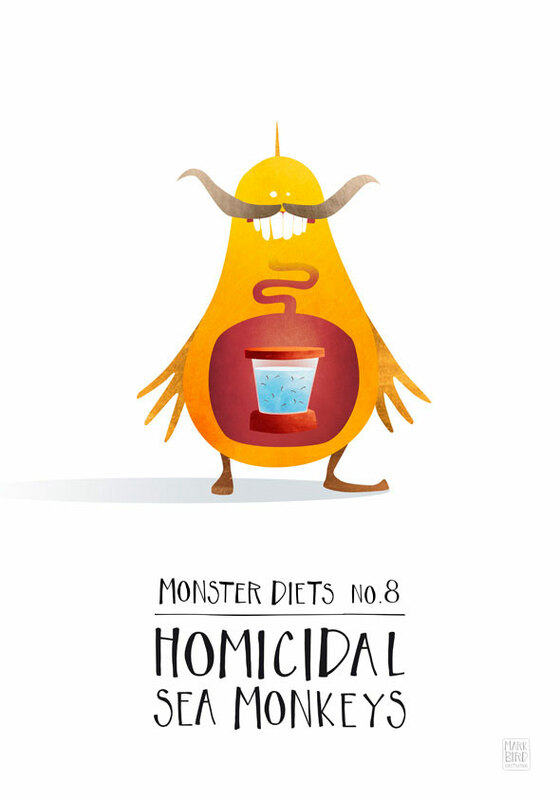 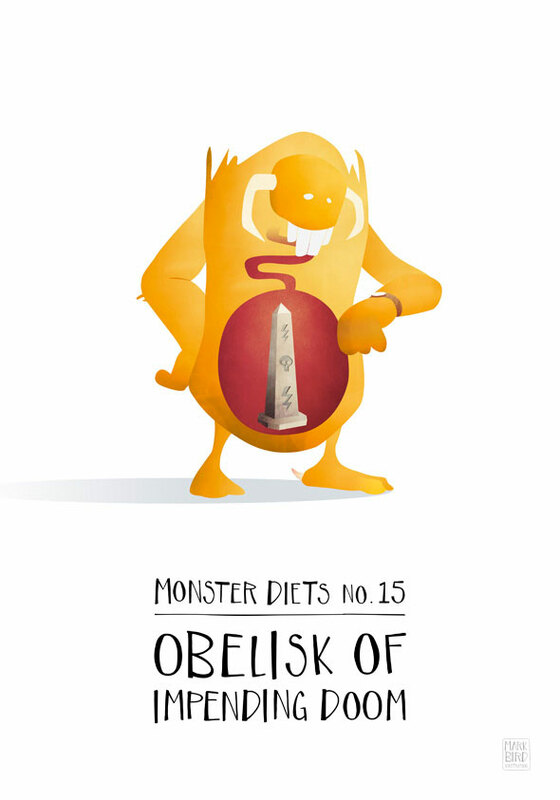 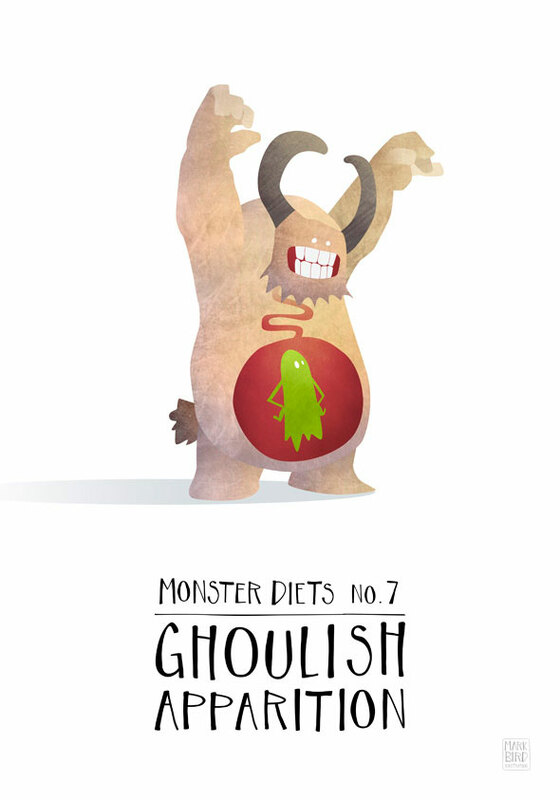 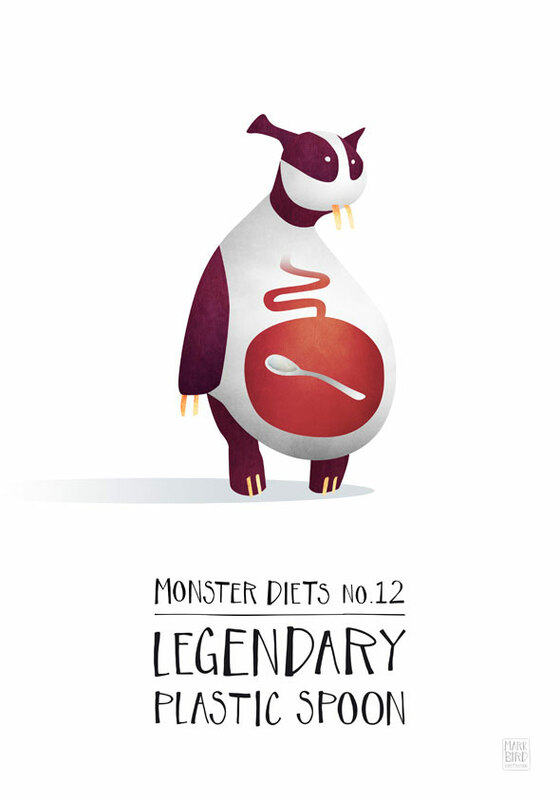 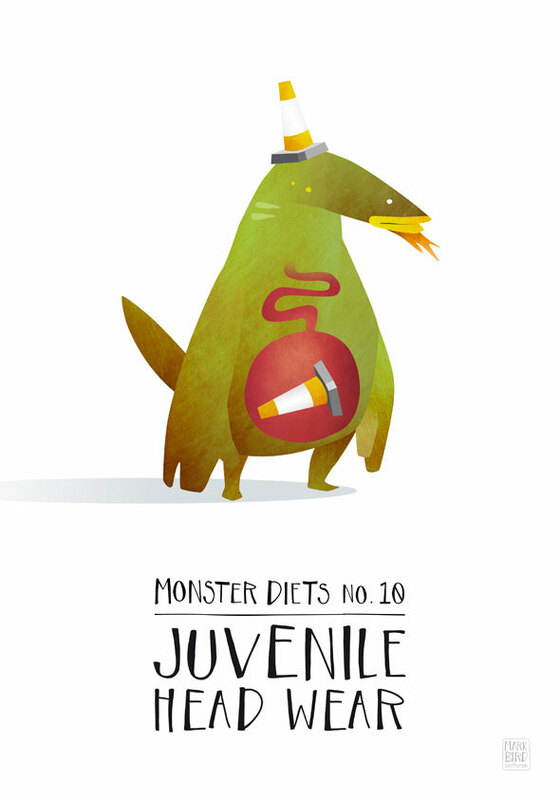 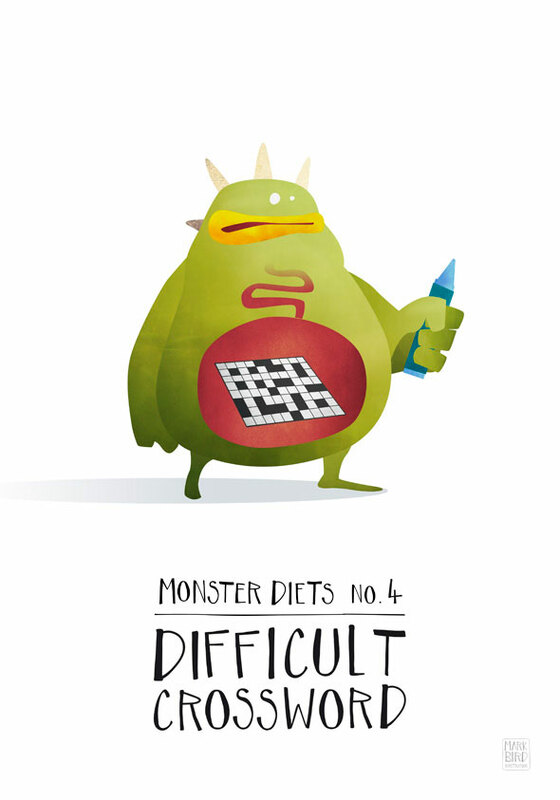 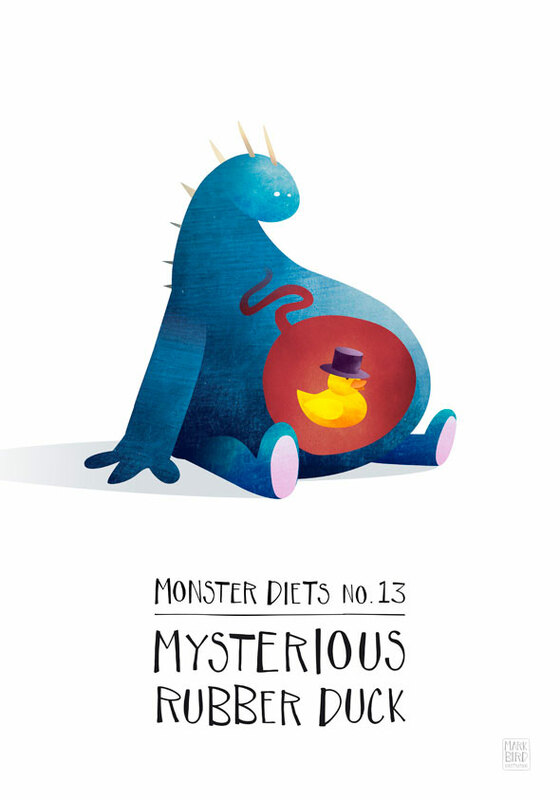 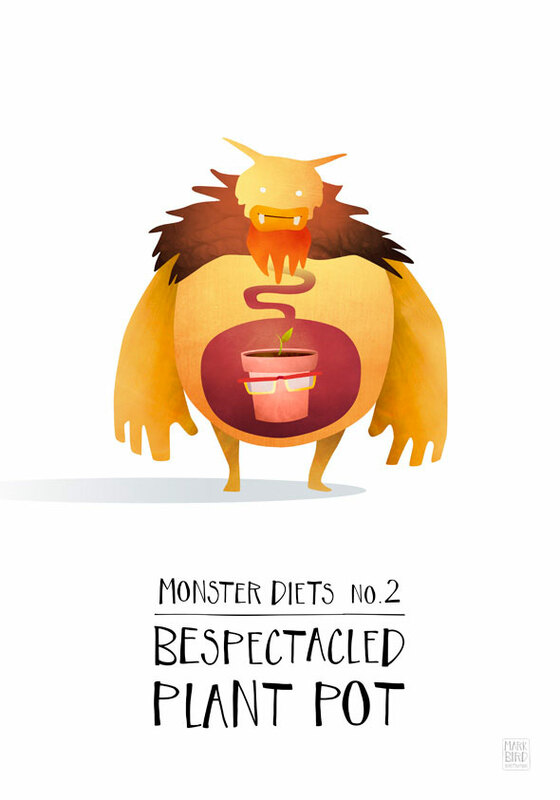 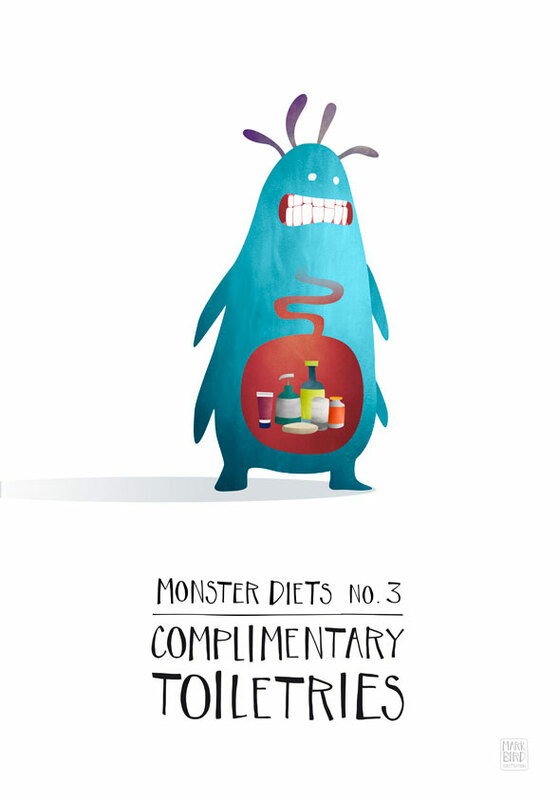 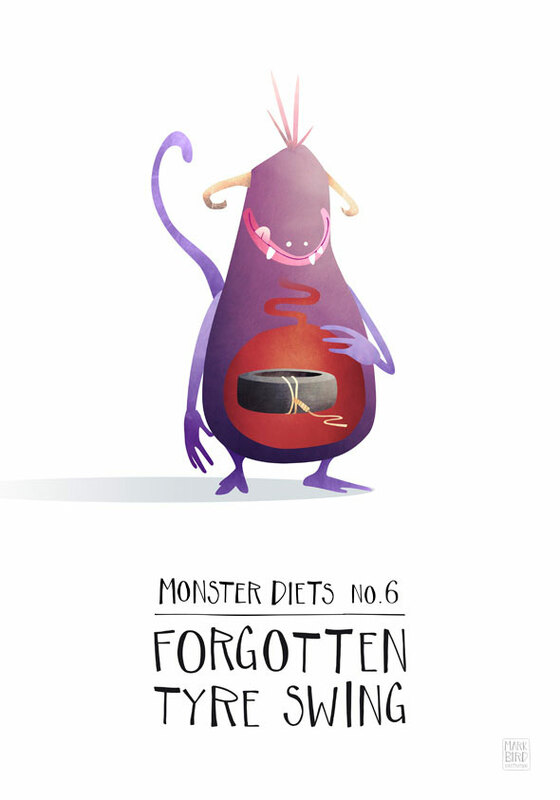 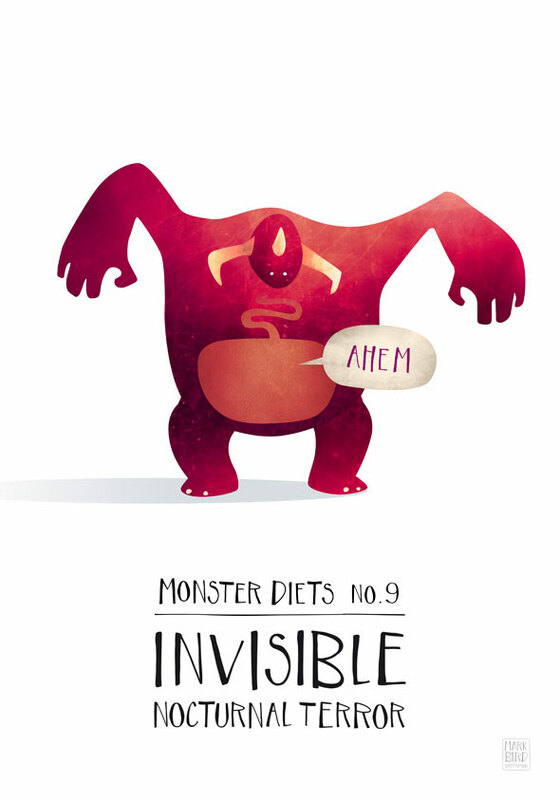 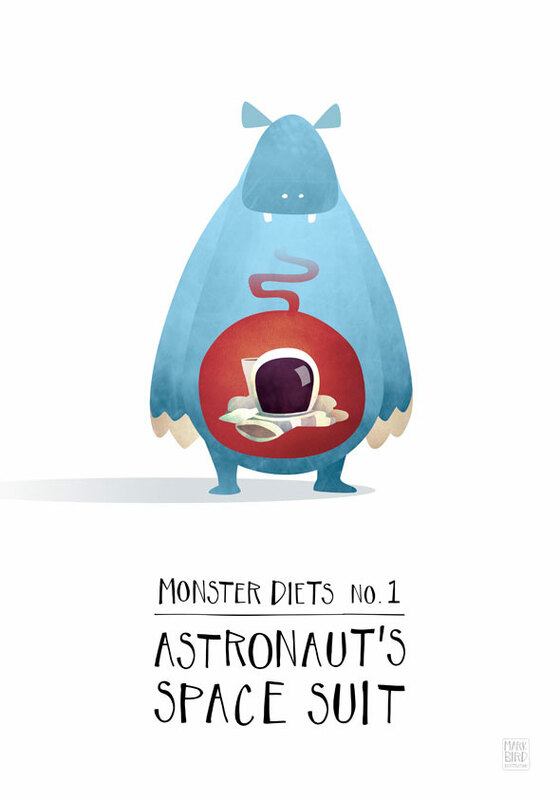 “Monster Diets” is an alphabetized series looking at the world of monsters, and what they like to eat. 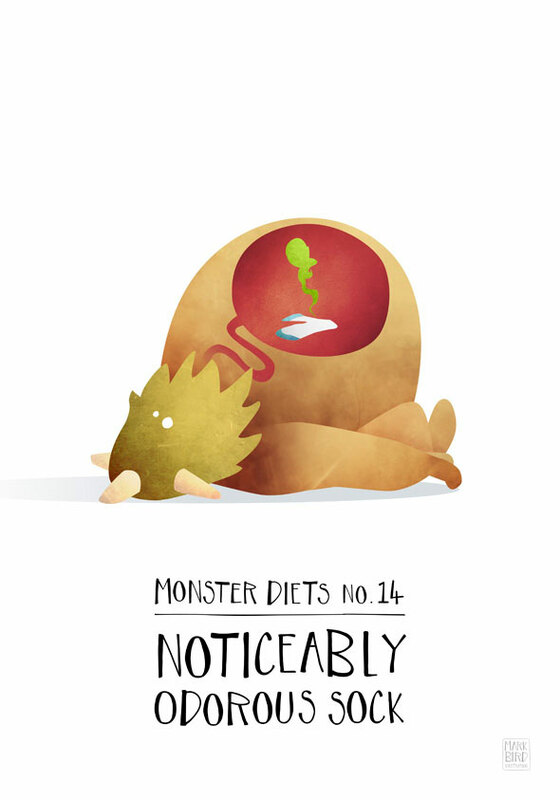 Much research and observation has gone into this series – It is not at all whimsical, or meant to be smiled at to any degree. 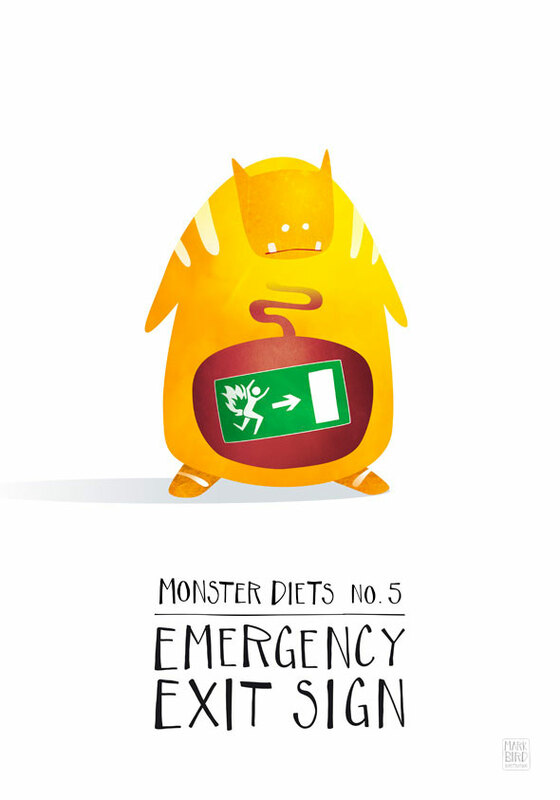 A small selection of this series are can be found on greeting cards in the store.